Whatever industry you are in, we've helped others just like you. With out 30 years of expereince in the IT industry, we have helped many companies and have acquired domain knowldge that is second to none. Most organizations have a small but nimble group of IT professionals running and maintaining the technology that keeps their business going. But an event as seemingly minor as an IT staffer taking a vacation or a corporate e-mail system malfunctioning can jeopardize the technological health of the organization — which in turn directly affects your bottom line. And even when you’re not facing such disruptions, special projects like installing or upgrading new software platform may be simply more than your team can handle. What should you do? Call us. 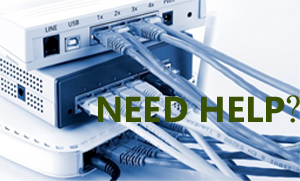 We understand and support the wide and local area networking needs of organizations just like yours throughout the entire mid-Atlantic region. Our technical consultants have real-time working experience in the your industry and will apply our expertise to protect your business, quickly resolving any issues that may a rise while also ensuring that your systems always run smoothly. When you're faced with tedious internal system upgrades or installations, or you simply need to augment your staff to cover vacations or provide overflow support, Rapidsoft Systems has the answer. Our technical consultants will work side-by-side with your in-house technical professionals. We’ll be right there to handle a variety of tasks for you, from large-scale installations and upgrade projects to smaller but equally important tasks, such as providing technical support to your in-house staff, customers or vendors. 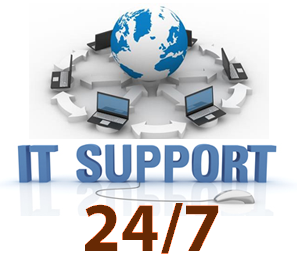 If you need to augment your internal technical support staff or help desk team, Rapidsoft Systems is a great fit. And, if you are seeking IT management expertise, Rapidsoft Systems still has you covered. A number of manufacturers choose to outsource IT management to Rapidsoft Systems, as a way to decrease costs and benefit from C-Level technical talent. To learn more about how a TotalCare 360® IT managed services plan can help support and grow your business, please call 1-609-439-4775 and / or fill out our contact form. You can be sure that a member of our managed IT services consulting teams will be happy to assist you.